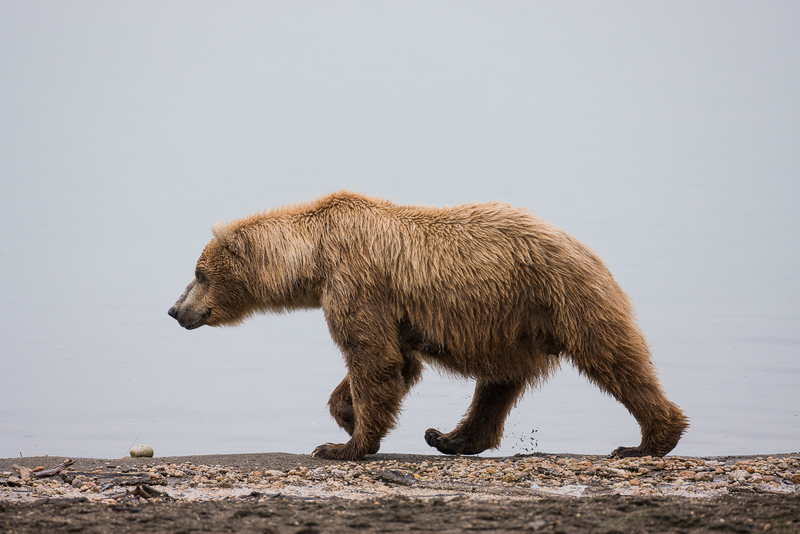 Bears use the beach areas in hope to catch a sockeye salmon along the shoreline. Frequently you will see the same bear touring back and forth in hopes of that lucky catch. Photo © copyright by Lance B. Carter.